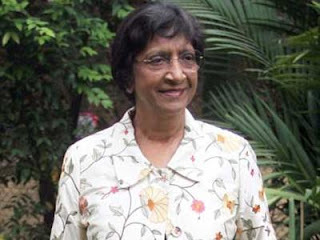 Home » News » The UN High Commissioner for Human Rights Navi Pillay says she is not visiting Sri Lanka to critisise the country but to look into human rights concerns. The UN High Commissioner for Human Rights Navi Pillay says she is not visiting Sri Lanka to critisise the country but to look into human rights concerns. Responding to a question raised by the BBC’s Colombo correspondent Azzam Ameen during a brief media interaction at the Cinnamon Lakeside hotel this evening, Pillay said that she wants to see if the government is complying with the human rights standards set to the whole world and accepted by the Sri Lankan government. “I frame myself within the human rights standards set for the whole world by all the governments of the world including the government of Sri Lanka. So I’m not writing my statute. I’m looking at the framework that was also developed by Sri Lanka. So if I raise criticism its whether they are complying to those standards,” she said. Pillay said that while the government had invited her to visit Sri Lanka much earlier, she had decided to wait till the report of the Lessons Learned and Reconciliation Commission (LLRC) was released. The UN Human Rights Chief, who is on a seven day visit to Sri Lanka, said that following her visit she will be reporting on the human rights situation in Sri Lanka to the UN Human Rights Council in Geneva. Pillay will visit the North and East and will also have several meetings both in Colombo and in the North in an attempt to get an independent view of the ground situation. Some Sinhalese groups have said they will stage protests outside the UN office in Colombo tomorrow against Pillay’s visit to Sri Lanka. Chief of Defence Staff General Jagath Jayasuriya said the Government will be giving her three separate briefings, including one by the Secretary to the President Lalith Weeratunga on the action plan on implementing the LLRC recommendations and one by the Ministry of Defence headed by the Defence Secretary. Pillay is scheduled to call on President Mahinda Rajapaksa and meet Government ministers and officials during her visit. She will also hold talks with senior judicial figures, members of the National Human Rights Commission and representatives of civil society. The High Commissioner is due to hold a news conference in Colombo at the end of her visit on Saturday 31 August, her office said in a statement last week.